It’s a question that could only have been the stuff of spy novels – at least, before this weekend’s explosive reports about President Trump’s interactions with Russian President Vladimir Putin. But, as was reported by The New York Times, it was a fair question for the FBI to ask—and it was fair for the FBI to open a counterintelligence investigation. It is equally as fair for the public to demand answers. That answer will be of such critical importance to our democracy that it must come with supporting evidence. That evidence starts with the Mueller report. Yet at this moment, there is nothing in Special Counsel regulation that requires the final report on the Mueller investigation to be made public, or even given to Congress. The decision of whether to make anything public falls to the attorney general. 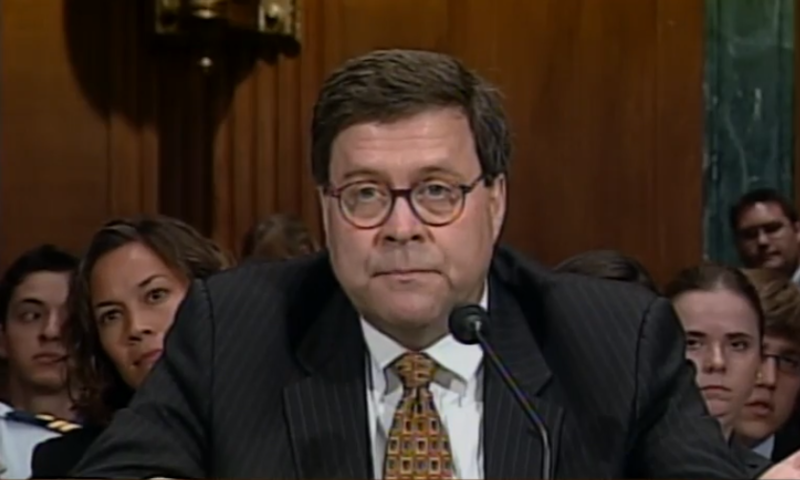 Trump’s nominee to fill the top spot at the Justice Department is William Barr, who is facing tough questions by members of the Senate Judiciary Committee. The Senate should demand unqualified assurances that both Congress and the public will have access to Mueller’s comprehensive findings. Barr should not be confirmed if there is any doubt he will release them. Unfortunately, the president and his lawyers have provided every indication they will attempt to assert executive privilege to prevent information in the Mueller report from becoming public. Congress should be prepared to fight back and do whatever it takes to prevent the president and his legal team from using their own tactic to delay or distract. Of course, specific material in that report may be redacted to the extent necessary to protect intelligence sources and methods, as well as any information concerning ongoing investigations and sensitive law enforcement information. But beyond that, the American public has the right to see whatever picture emerges when the Mueller team completes its work. Which leads to the weekend’s next piece of breaking news: a Washington Post story revealing that the president went to unprecedented lengths to prevent even members of his own administration from knowing what he said behind closed doors to Russian President Vladimir Putin. In an apparent effort to eliminate any paper trail, Trump instructed his interpreter to hand her notes over to him. What the president has done with those notes is unclear, although it would be a crime for him to destroy them—in the same way it would be a crime to destroy tapes had he, for instance, recorded the conversations. Congress now faces the thorny question of whether to subpoena Trump’s interpreter. In normal circumstances, the arguments would weigh against such a move, recognizing that in order for a president to do his job, he needs some assurance of confidentiality to have candid conversations with foreign leaders. But these are not normal circumstances. When the question is as big as whether or not the president of the United States is a willing or unwilling Russian asset, Congress must use any means necessary to find the answer. The president’s posture towards Russia, from his policy positions, to his unwillingness to criticize Putin, to his willingness to dismiss reports of his own intelligence community about Russian election interference, compounded by his secrecy, gave the FBI, and now much of the public, reason to question the president’s motivations. Erasing any doubt about the president’s loyalties means the truth must be told with facts and details that will only surface if Congress and the next attorney general make an unwavering commitment to openness. Lisa Rosenberg is executive director of Open the Government. This article originally appeared in The Hill.